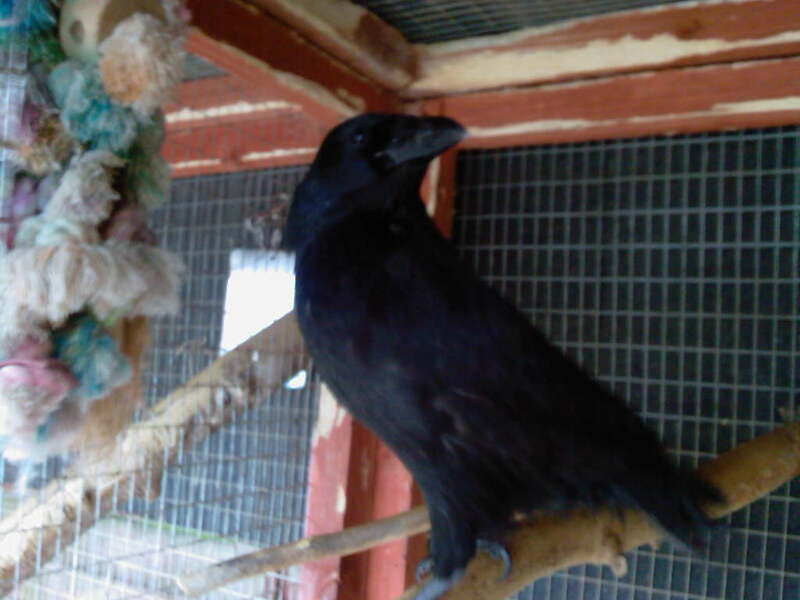 Anubis the hand reared crow. Unfortunately he has become hand tame and loves to mimic noises. He has started doing magpie noises, turkey noises and various others.